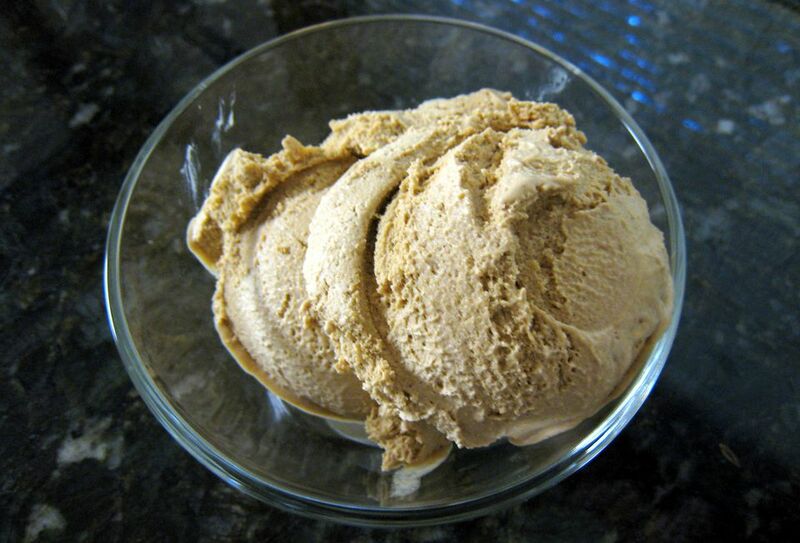 Sweet potato pie flavor in a scoop of ice cream? Yes, please! Serve sweet potato ice cream with this delicious brown sugar pecan praline sauce or with dulce de leche. Butterscotch sauce would be excellent as well, or simply sprinkle toasted pecans or toasted coconut over the ice cream. Heat the cream, milk, and brown sugar in a heavy medium saucepan, stirring occasionally until sugar is dissolved and the mixture begins to boil. In a small bowl, whisk the egg yolks briefly; slowly pour about 1 cup of the hot mixture into the egg yolks, whisking briskly as you pour. Pour the egg yolk mixture back into the saucepan, whisking constantly. Continue cooking over medium heat, stirring constantly, until the mixture thickens slightly and coats the back of a spoon,* or to about 175 F. Do not boil. Strain the mixture through a fine-mesh sieve into a bowl. Whisk in the sweet potato puree and spices. Cover and refrigerate until thoroughly chilled, at least 3 hours. Freeze in ice cream freezer following manufacturer's directions. Transfer to a container, cover, and freeze until firm. *Dip a spoon in the egg and milk mixture and run a finger across the back of the spoon. If the path your finger makes is clear and the film on the spoon is not at all runny, it is done.